The September issues have clearly gone to the younger generation of stars this year, with the likes of Kendall Jenner, Bella Hadid and Lucky Blue Smith bagging covers of major fashion titles. 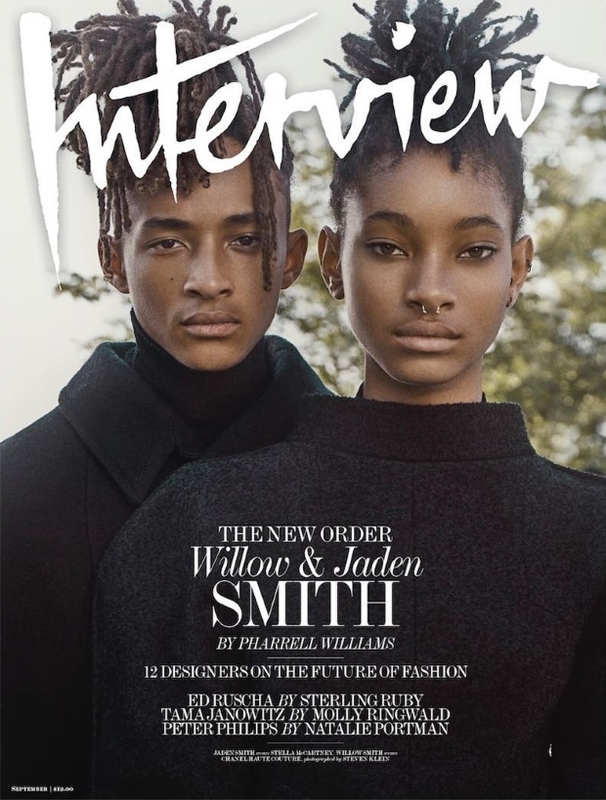 Now, teenagers Willow and Jaden Smith pose together on Interview for September. The brother and sister duo were shot by Steven Klein and profiled by Pharrell Williams for the occasion while both serving up a fairly simple yet stimulating portrait cover shot. Complete with Willow wearing Chanel (natch) and Jaden decked out in Stella McCartney, our forum members like what they see. “I have no idea what they do that they need to promote but I do like the cover,” confessed kokobombon straight away. “Can’t say the deadpan expressions are particularly enticing, but they deserve this regardless of however insufferable I may deem them. The cover ticks all the PC boxes, but it looks more like Dazed than Interview, to be honest,” Benn98 added. “I’m sick of this obsession with young people whose relevance is having famous parents, but damn the Smith kids are so good looking. Willow is really gorgeous. Beautiful cover,” echoed *ana*. Check out Klein’s intriguing cover story featuring the Smith kids and add your own two cents here.